Slot machines have come a long way since they made their first appearance more than 100 years ago. They have been in a constant state of evolution ever since the very first player pulled that magical lever, spun those reels, and kicked off what was to become the single most popular casino game ever conceived. From the original machines made from clockwork mechanics and playing cards to the modern digital marvels that exist only within the virtual world of computers and the Internet, no other game has ever managed to capture the attention of gamblers like the simple, but so very exciting, slot machine. Over the years, slot manufacturers have made many changes to their games as they compete with one another to attract the attention of players all over the world. Now, with the global explosion of legal online gambling, it has become more important than ever to come up with new games and new concepts that will stand out from the crowd and out-perform the competition. For players, this means great variety, lots of excitement, and plenty of new trends and design tweaks to keep up with. Keeping up with all these changes can be difficult, and sometimes confusing. So, let’s take a look at how the slots, the one-armed-bandits, the pokies, or the fruit machines — whatever you like to call them — have grown and changed, especially in the digital age. The most basic way that slot machine manufacturers first tried to outdo one another was to add more reels and more pay lines to their games. The original games that had only three reels and one pay line grew into machines with five reels and five pay lines. As things moved from mechanical to digital, more and more lines could be added. Rather than just allowing wins on straight and diagonal lines, it became easy to create all sorts of zig-zag win patterns. Soon there were slot machines with 10 lines, then 20 lines, then more. 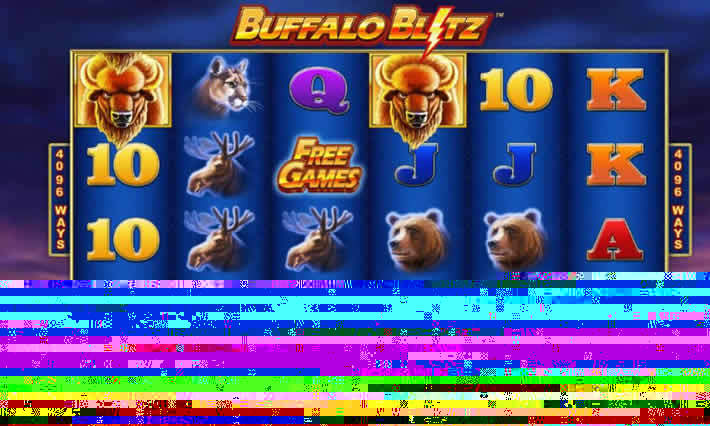 It was soon common to see video slots with 30 or 40 pay lines. Of course, still wanting to outdo each other, designers wanted to push it farther. They added as many lines as they could until there just wasn’t room for more. And when they ran out of room, they added more rows to the reels to make space for more lines. Eventually, some video slots got up to an almost ridiculous 100 pay lines. As the number of pay lines on slot machines grew, however, there was also a growing problem for gamblers — it was getting too expensive to play. Following along with traditional slot designs, the games were built so that one coin had to be wagered on each line that the player wanted to activate. Many machines also required that all lines be activated in order to win the largest prizes or enable special features. What started out as a way to attract more players was turning into something that was pushing some players out of the game. Laying a coin on 10 or 20 lines is one thing, but when you start getting into numbers like 40 or 50, or more, it becomes a lot more money than many conservative players want to risk on a single spin. The designers needed to come up with something new. The next big step in the evolution of slot machines was the 243 ways to win payout system. Depending on how you look at it, this system either does away with pay lines completely or pushes the number of pay line all the way up to 243. The key advantage for players, however you look at it, is that it gives them many more possible ways to win for a smaller fixed wager, creating an excellent value. With the 243 ways to win system, symbols don’t need to land on any specific line in order to create a winning combination. They only need to appear on successive adjacent reels starting from the left, in any position. For example, you might have one symbol land at the top of reel one, the bottom of reel two, and in the middle of reel three. Although the symbols are not lined up, they appear on the first three reels, one after another, and create a win. 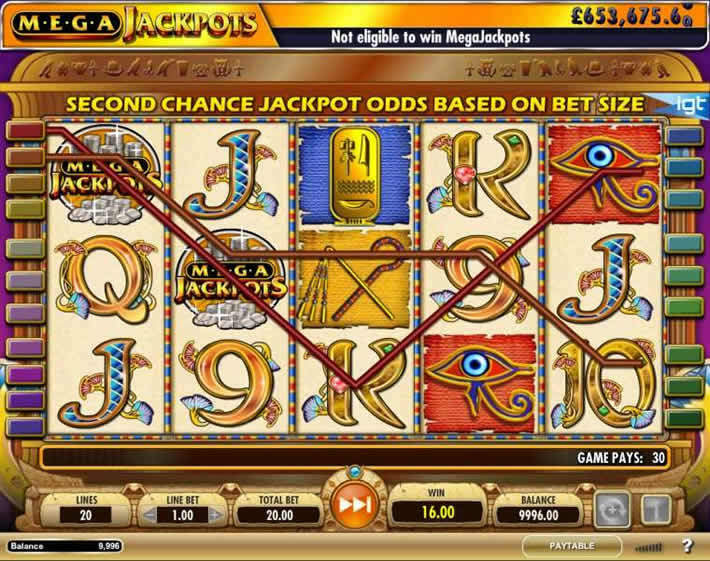 The basic concept is that this system covers every possible combination of the symbols landing on adjacent reels on a five-reel, three-row slot machine. Mathematically, the total number of combinations is found by multiplying three to the fifth power; 3x3x3x3x3=243. So, again, depending on how you look at it, this system either creates 243 pay lines or just ignores the concept of pay lines completely. Most of these slots set up their wagering system as if you are playing on a 10 or 20 line slot machine and then allow you to set the coin value you’d like to use. If you were to compare the same coin value on different machines, you’d be able to play a 243 ways to win slot risking less money per spin than if you played a traditional 50 line slot with one coin on each line. So, in the end, you’re getting almost 200 more possible winning combinations for less than half the price. Once the 243 ways to win system proved to be popular with players, it was only a matter of time before designers started pushing again to make things more exciting. It soon became obvious that 243 was just the beginning. With this type of mathematical formula, small changes can have a big effect. By simply adding a reel or a row (or both) to a slot machine, designers could add thousands more possible winning combinations to the game. If we add a sixth reel, for example, keeping three rows, the total ways to win increases to 729. If we stick with five reels and make it four rows, we get 1024 ways to win. And If we add both a sixth reel and a fourth row, it jumps to 4096 ways. That’s not all, though. Things can be changed around and mixed up by implementing a pay-both-ways system, where combinations pay starting from right to left as well as left to right. You also have slots with uneven rows like the 3-4-5-4-3 configuration, or slots with expanding reels features. There have been plenty of interesting twists on this system. Next on the list of innovations for the online video slot machine was the cluster pays system. 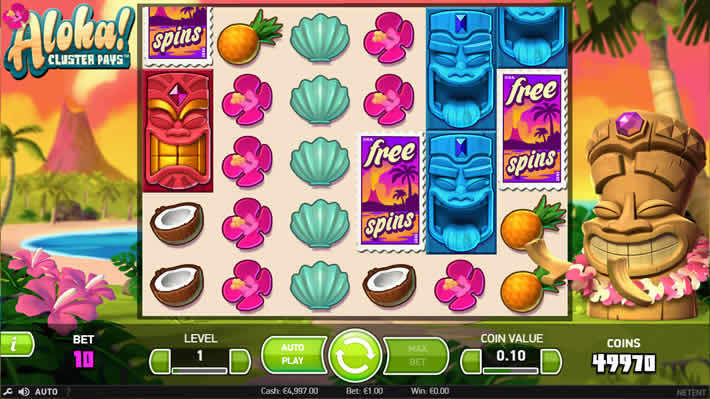 This idea was first seen on NetEnt’s Aloha slot, but other companies have released games that use the same concept under a different name. This concept also ignores the idea of traditional pay lines but really changes things up when compared to the “ways to win” system. Just as the name indicates, this system pays out a win when like symbols land in clusters on the reels. Different games will have a different minimum number of symbols for what exactly constitutes a cluster, but the basic concept is the same on all of them. A cluster can form anywhere on the play grid. Winning combinations don’t have to start on the first reel, and all winning symbols must be touching each other to form a cluster. Just like a slot machine with traditional pay lines, there can be more than one winning combination on each spin. Payouts are based on the symbols that match and how many of them are in each cluster. Another concept that has become popular among online slot machines recently is the idea of falling symbols and a second chance after a winning spin. 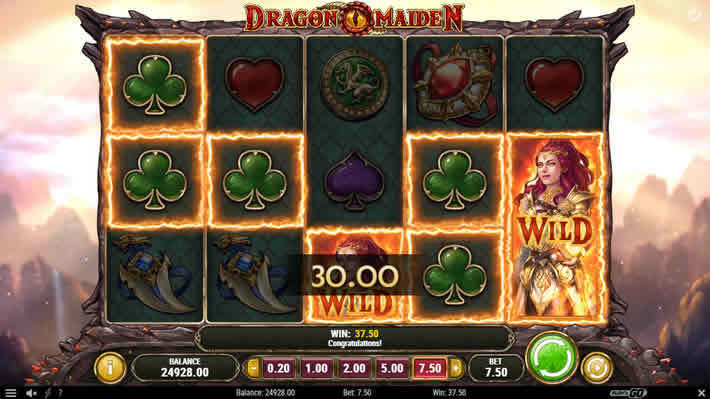 This concept has been used on 243 ways to win slots, cluster pay slots, and even traditional pay line slots. It seems to be most often seen on cluster pay slots, though. Unfortunately, there doesn’t seem to be any consensus on what this type of design is called. Each developer refers to it in a different way. On this type of slot, rather than showing the typical reels spinning, when you press the spin button the play grid is cleared and symbols will fall in from the top of the screen. This, of course, is just another way of displaying things and doesn’t really change how anything works. The part of this concept that really stands out is what happens after a win. When a winning combination lands, the symbols involved in that win are removed from the board, remaining symbols fall down, and then new symbols fall from the top to fill in open spaces. This creates the possibility of winning more than once on each winning spin. It is essentially a free respin. Most slots of this type will also continue to remove and replace symbols until no more wins land, so bonuses can really add up. As you should know by now, none of the online slot developers are ever to be caught just resting on their laurels. Even if some of them may seem to fall quiet, you can bet that they have something brewing and are working on new ideas. Proving this fact is the recent development and release of a system called MegaWays from Big Time Gaming (BTG). 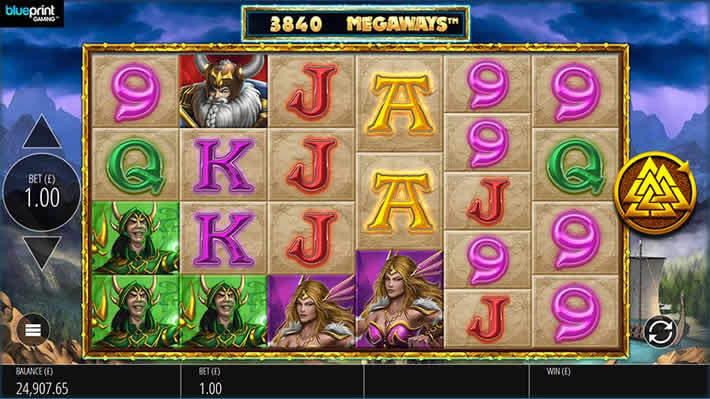 The MegaWays slot payout system takes the “ways to win” idea and supercharges it, pushing the possibilities to an extreme level. BTG has taken some features we’ve already seen and built on them, then mixed in some unique ideas to take things completely over the top. The best way to explain how the MegaWays system works is to use BTG’s own Bonanza slot as the example. At it’s base, it is a “ways to win” slot, but not like any that we’ve talked about up to this point. There are seven reels in total on this slot. There are six vertical reels with a variable number of rows on each plus one horizontal reel with four symbols that sits above the four centre vertical reels. What pushes this game so far past anything that has been created before is a combination of the six reels, the variable number of rows, and the added horizontal reel. Each of the six reels can stop with anywhere from two to seven symbols visible. With each spin, the number of symbols that land on each reel will change. The horizontal reel on top will also add it’s symbols to each of the four reels underneath it. 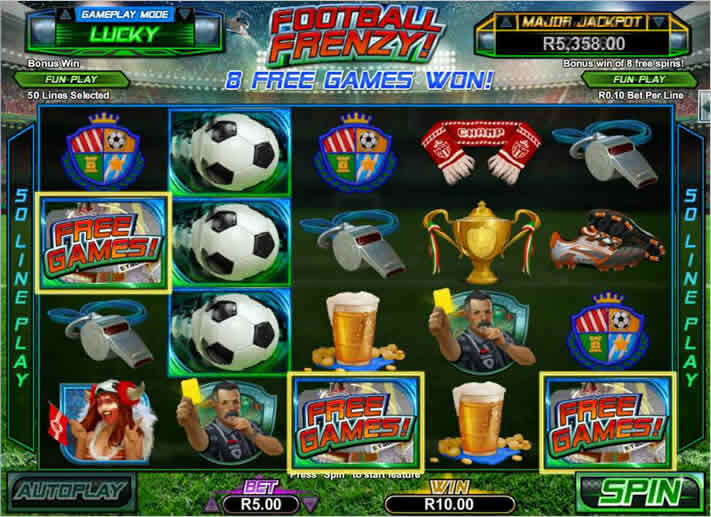 Since, as we explained above, the number of possible ways to win depends on the number of reels and rows, we get a slot with a varying number of ways to win on every spin. When the maximum number of symbols land — seven on each reel — it creates a mind-blowing 117,649 ways to win. On top of this, this particular slot also uses the remove and replace system we talked about above on each win. It’s impossible to say what the future holds for these long-time casino favourites. At one time people thought 10 pay lines was so exciting. Then came 20, and then 40. Then they thought 100 lines had to be the limit. Soon, when 243 looked like the limit, 1024 came along, and then 4096 was surely as far as it could go. Now, with more than 110,000 possible winning combinations on a single slot machine, what can the game designers possibly do to top this? We don’t know, but we can’t wait to see it. One thing is certain, everyone’s favourite game to gamble on isn’t going anywhere. Slot machines, especially at online casinos, will continue to change and evolve and delight us all for a very long time to come. Cashable casino bonuses: to know which bonuses are better for you. Search for the fastest payout online casino available in your region. Check for the best casino payment methods available to you, to get fast withdrawals. Use our bonus checker: before you redeem any bonuses. Check our section with lowest wagering casino and bonuses. Blogger and Casino Fan, originally from Argentina. Home Alone in Valentine’s Day! How to Maximize it Playing Online.